Who comes to mind when you hear the word “needy”? Do you see yourself as needy? Do you actually know the needs of those around you? 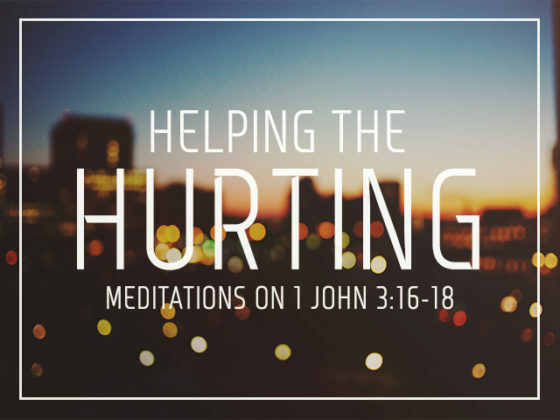 In this series we dive deep into the topic of helping those in need – those who are hurting. By exploring 1 John 3:16-18, we find that not only does the gospel compel us to give our lives away to serving others, but we find that this has real, practical, and helpful outworkings in our life together. Join us as we seek to grow in our understanding of how we can serve our neighbors well, with Jesus Christ as our Redeemer and our great Example!